With the continued growth of mobile devices, advertisers need to adopt a mobile first mindset. Mobile is huge. Arguably the biggest trend in the digital industry at the moment, it is constantly growing. So much so that it’s estimated that three-quarters of the world will have a mobile device by 2020. Therefore, the scope and opportunity for digital advertising on mobile is huge. It’s not a surprise that with consumers engaging more on mobile devices that advertisers will follow. That’s why the growth in mobile use have captured our attention. Globally, eMarketer predicts mobile will account for 71% of all digital spend (and 32% of all media) by 2020. Mobile is a highly personal device, and consumers are willing to receive content and messages from brands, in the right context. Luckily, the richness of mobile data makes it possible for brands to ensure their messages are timely and relevant. Native advertising is a form of marketing where a paid ad is placed naturally into surrounding content without disrupting the user experience. Native ads appearing as though they’re part of the existing content. Native advertising isn’t new and has been around for ages. But not all marketers and advertisers are familiar with the concept, and therefore haven’t really entertained the idea. Online Marketing is constantly changing. Advertising is no different and traditional banner ads are now being replaced by native ads, which offer a better click through rate (CTR) and higher level of leads. 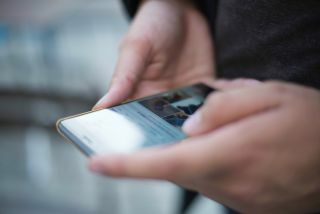 A recent study by business analysts HIS forecasts that nearly two-thirds of all mobile display ads will be native by 2020 and that consumers engage with native ads between 20 and 60% more than standard banner ads. Delivering content for the right user requires a lot of work. Mobile can provide hundreds of data signals that enable real-time ad serving, but it requires solid technology to analyse this data and ensure mobile campaigns deliver highly relevant content, to the right user, at the right moment. Native advertising can do this. The actual device you target is another factor to consider. Smartphones are generally used more frequently throughout the day, mainly out of the home and for shorter periods. Tablets are used less frequently, but usually for longer periods, and most commonly at home. Advertisers should tailor their native strategy based on these considerations. It is likely to drive increased relevancy. The power of video is growing by the day and companies that are not using video are missing a big opportunity to engage with their target market. According to a report by Cisco in 2016, online videos will account for more than 80% of all consumer internet traffic by 2020. A phenomenal statistic! If you are serious about engaging with your target market, then using video is one of the most effective ways to do so. It is a great way to build a relationship and engage consumers in every step of the sales funnel. Additionally, with the ability of mobile phones to allow videos to be available 24/7, many shoppers turn to video content for research and product reviews. Needless to say, the demand is there, but it presents a challenge for brands, who must create made-for-mobile content. It’s a minor compromise given the size of the opportunity, particularly with the emergence of new ad formats – in particular 360, virtual and augmented reality, and live video. Marketers are looking at how they can combine video with native mobile features to create compelling experiences for their target audience. Many bigger brands are now taking their content further by layering video content with rich media, with the intention of having consumers physically interact with their ad beyond the act of viewing. Pay particular attention to the critical first three seconds of the video. That’s when you capture the attention of your target audience. Produce several versions of a video and test them to see which one performs the best. Set up mobile-friendly landing pages with high-quality images. Keep up with current trending topics that are important to your target audience, to ensure that your ad is relevant. Machine learning programmatic becomes predictive when marketers use real-time data and artificial intelligence to anticipate consumer needs. To be effective when advertising on mobile devices, there needs to be a sophisticated, data-led approach to marketing. Programmatic buying will become essential if marketers are to target consumers effectively. It helps most notably across a variety of ad formats and devices. It also helps to track performance and make off the cuff changes to maximise interactions and conversions. In short, we can work out the best-placed ad to that specific person, as well as identifying new users. Here at Adzooma, we’re increasingly seeing media buyers delivering branding campaigns via programmatic buying, as the quality of inventory now mirrors that of a direct buy. To conclude, there’s no doubt mobile will change the shape of the ad industry in 2017. When done well, it can provide a quality experience for consumers and drive greater engagement for advertisers. It is hard to achieve without recognising that mobile requires a unique approach, with strategies and content made specifically for mobile. Consumers are attracted to mobile devices and it is vital that brands focus on delivering content that complements, not interferes, with the user experience.